Leapin' lizards! 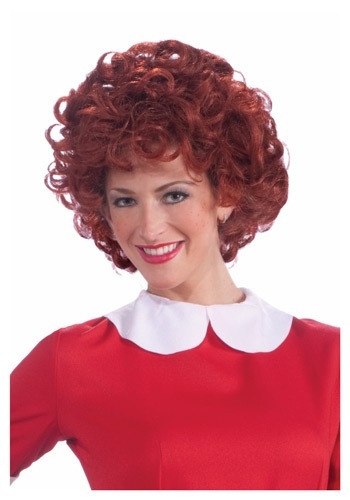 There's a Little Orphan Annie costume for adults! 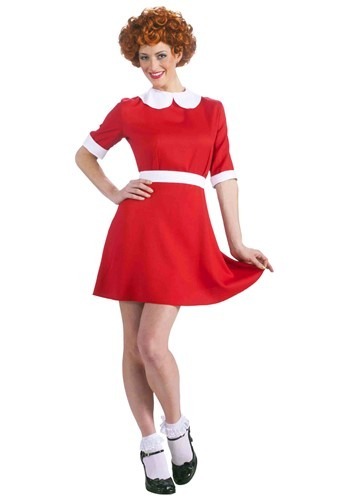 This Adult Annie Costume will transform you into that freckled face little orphan that you use to love as a kid! All you need to do is pick up the iconic curly haired red wig to pair with this costume for the complete look. Now all you need to do is find yourself a Daddy Warbucks! Good things are bound to happen once you put on this Adult Annie Wig. Hey, if a little orphan girl can go from rags to riches, why not you? Of course you'd have to find a millionaire to adopt and raise you, but you can think about that later. 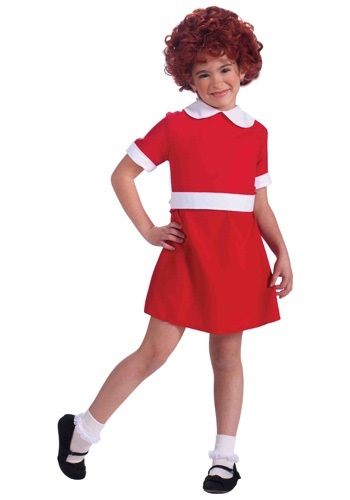 You can bet your bottom dollar that this Child Annie Costume is a great Little Orphan Annie costume for young girls. Your little one can sing along to all the classic Annie songs like "Tomorrow" and "Hard Knock Life" while she wears this cute costume. 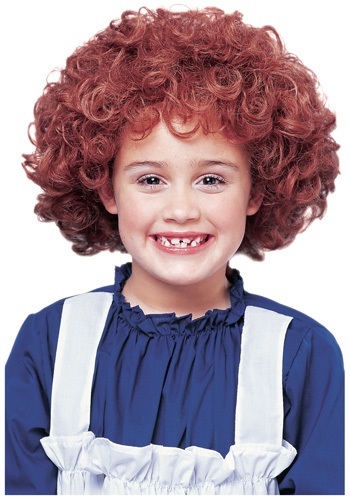 To get the complete classic Annie look, pick up the curly red wig as an accessory to pair with this costume. Also remember, you're never fully dressed without a smile! The hard knock life doesn't count once you're in this Child Orphan Wig. You'll go from scrubbing floors to a room full of maids. Seriously put on the wig and see what happens. 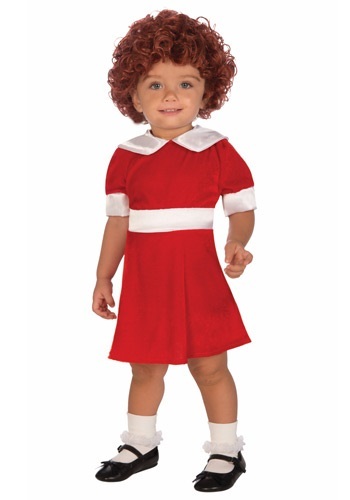 There won't be a Hard Knock Life for the little girl in this Toddler Annie Costume--she'll be too cute! Just add a wig, black shoes and anklet socks to complete the look. Find a dog named Sandy, and she's all set. Just watch out for Miss Hannigan!